This is the new Jaquet Droz Grande Seconde Off-Centered Onyx that will be officially unveiled at Baselworld 2016 next month. Highlighted by a mineral disc cut from onyx, the dial has been polished to a glossy finish. Contrasting the black reflective surface of the minimalist dial, are brushed 18K white gold monoblock chapter rings. 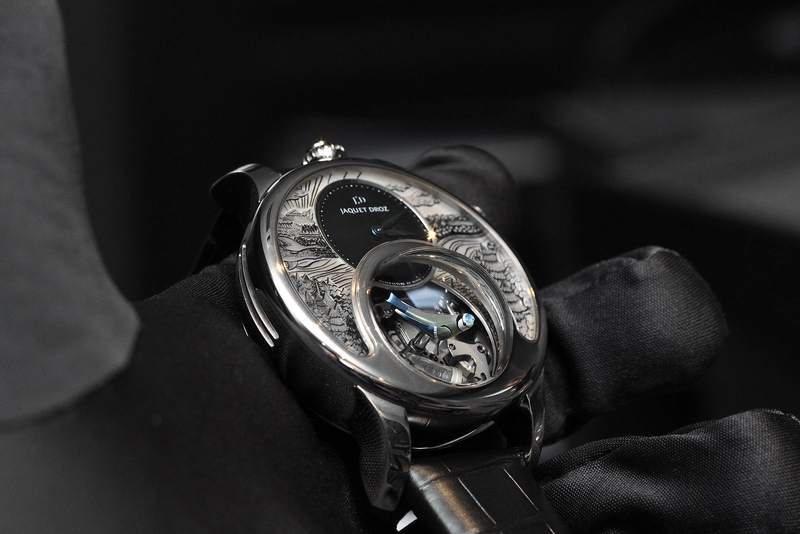 Hours and minutes are indicated by polished white gold Lance-shaped hands in the upper dial. And a long baton-shaped hand with an open-tipped counterweight indicates small seconds in the lower dial. Animating the timepiece, and visible through a clear caseback, is an automatic movement decorated with Côtes de Genève rayonnante (sunray Geneva stripes), perlage, and a matte frosted skeletonized rotor with an embossed Jaquet Droz logo. 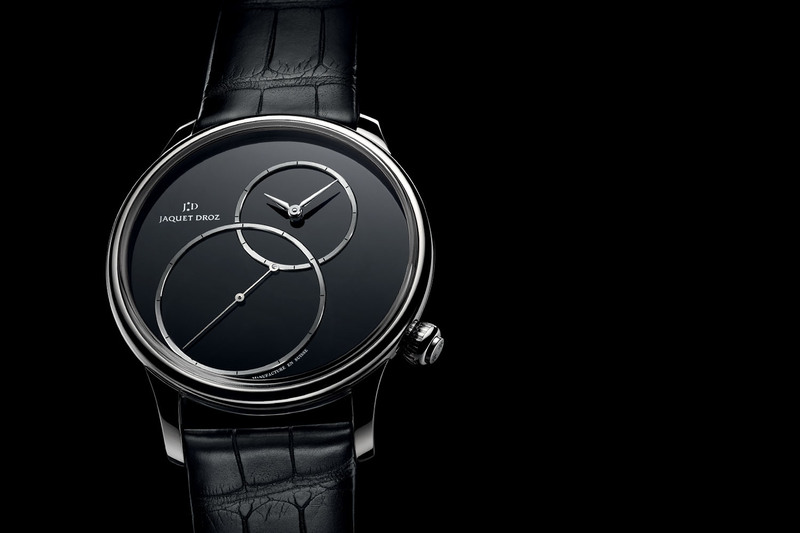 The Jaquet Droz Grande Seconde Off-Centered Onyx is presented in a fully polished 43 mm diameter stainless steel case. 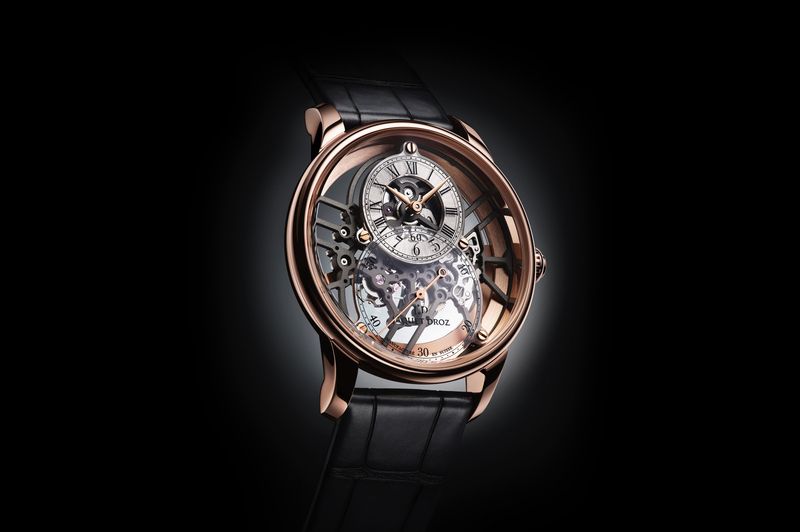 Uniquely, an onion-shaped steel crown, with ridges, is located at 4 o’clock, and embellished with a twin star Jaquet Droz motif. 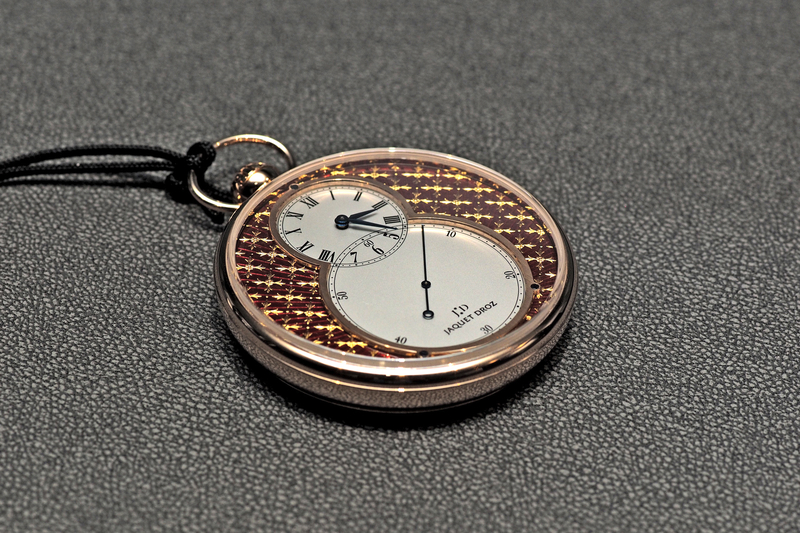 There is also a version with a silvered opaline dial. Both variations are paired with a flat alligator leather strap.